I'm so looking forward to being back in church this Sunday, having been away at the excellent ONE Event last weekend. We're now only two weeks away from the launch of Kerith Sandhurst which is very exciting. On Sunday the Sandhurst team will actually be doing a dry run of a Sunday with all of the band and venue set up. I'm also going to drive over to Sandhurst between the 9am and the 11am in Bracknell to see what that feels like. This month we're going to split the "Give to Grow" gift days across two Sundays (the 1st and the 8th September) as we realise a number of people may still be away this weekend. I've been so encouraged by the gift days so far this year, and thought you might like a summary of where we're up to and what we've achieved. So far this year the gift days have raised £205,000 (including gift aid). This leaves (only) another £105,000 to raise to meet the target for the year. I'm so grateful to everyone who has given already, and full of faith that we can raise what is left which will allow us to get to the end of 2013 in such a good place as a community. Please be thinking about what you are able to give over the next two Sundays, and if you can't be there consider giving online. As always if you have any questions on this then please ask. They say a picture is worth a thousand words - if that's true then a video most be worth an incredible number of words! Well I want to ask you to try and find a 20 minute slots today where you can sit down and watch a video summarising all that has been going on in Serenje. Several people have asked me about the latest in Serenje. We're coming towards the end of our five year project there (we'll be talking about what comes next later in the year - rest assured there is a plan to make sure all that has been achieved can be sustained). The raw numbers of what has been achieved are impressive; over 3,000 orphans and vulnerable children helped to get back into school (including 6 children with special needs sent to a specialist school), 1,700 families provided with seed which has helped to give them food security, 550 families given goats and over 100 volunteers and pastors trained to help people living with HIV and AIDS. But for me it's always the individual stories which make the biggest impact. Seeing one life changed because of our generosity. Tearfund, our UK partner in Serenje, recently sent out a team to record what has been going on in Serenje. The video they produced is brilliant - please find the time to watch it all the way through, and be inspired by what God has done through all of us. And if you gave to any of the Serenje offerings, please know that you have been part of something amazing. Finally you might want to put the evening of Sunday 27th October at 6pm in your diary. That evening we'll be celebrating all that God has done in Serenje, as well as talking about what happens next - don't miss it! The Church Transforming lives in Serenje (long version) from Tearfund on Vimeo. With the launch of our new site in Sandhurst we've done a bit of a refresh of the Kerith logo. The idea is that the circle with the river running through it becomes a standard thing, after which you can put wording specific to a given site or ministry. You'll start to see it appear on all the latest literature, although we'll be leaving the old logo on all the signage and other places it currently appears as we don't want to incur the cost of changing every sign we own! If you're part of a ministry which needs to use a logo please talk to Beccy Oliver and her team about getting a version of the new logo which works for you. 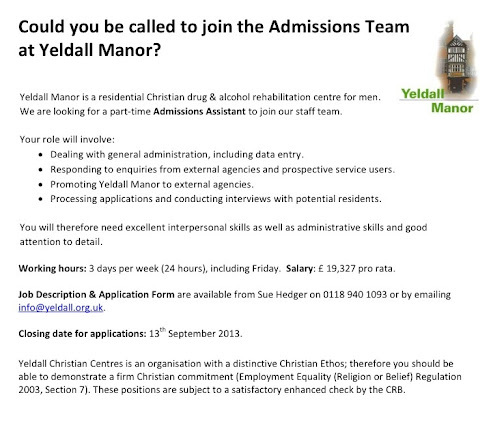 Our friends at Yeldall Manor, the Christian drug and alcohol rehabilitation centre we work closely with, have a part time job opportunity which they asked me to advertise. 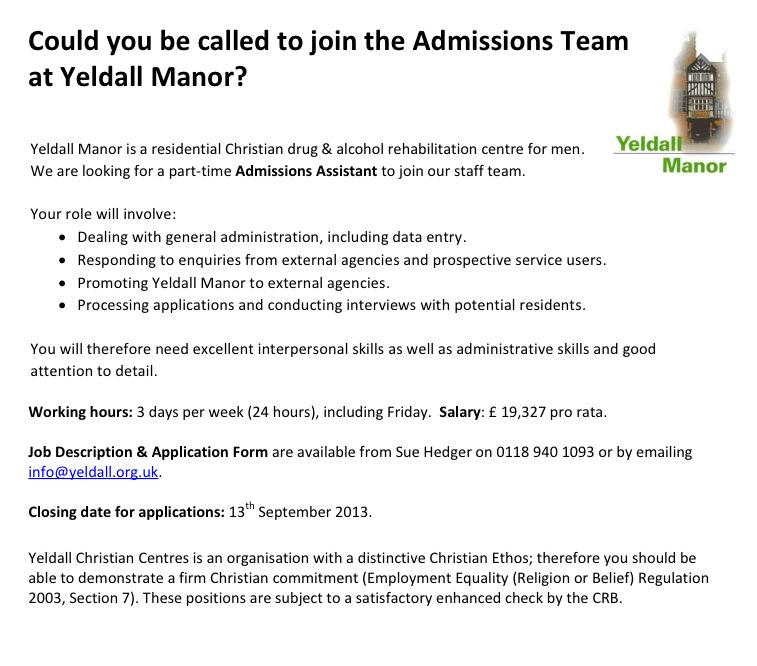 The details are below - they're a great bunch of people so please get in touch with them if you or someone you know would be interested in applying. 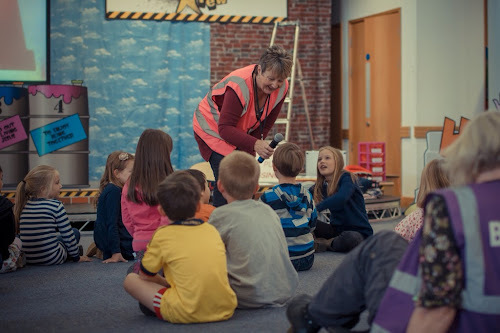 This coming Sunday marks the end of an era as it is Yvonne Scott's last Sunday as our 5-11's children's pastor. 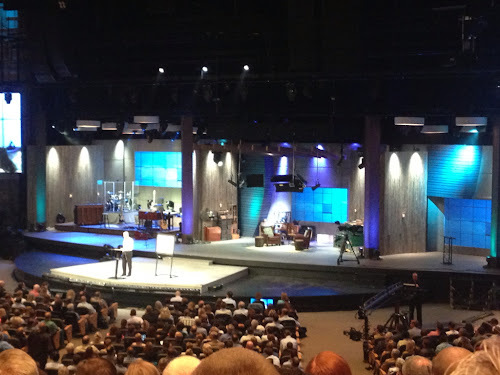 One of the things Bill Hybels talks about as the job of the senior pastor is making "big asks" of people. I did that when a few years ago I asked Yvonne whether she would consider giving up her very successful job with a national Christian children's charity to come and oversee our children's work. At the time our kids work wasn't in a great place, and I can't tell you how excited and relieved I was when Yvonne said yes and came and joined the staff team. In the five years since she joined the staff Yvonne has overseen a transformation of our kids work. Not only has the content of what the kids do on a Sunday been totally changed, but the number of kids coming has doubled in the time Yvonne has been involved. She and the team she has built have done a magnificent job, and I along with many others who have had children in our Kids ministry are incredibly grateful for all she has done. Yvonne leaves our kids work in very good hands. Lydia Harris-Lane continues in her role with oversight of all of our children's work on both the Bracknell and Sandhurst sites, with a team of leaders which includes Di Stone, April Hammond, Stacey Omokaro and Nicola Bilcliff. There will be a goodbye tea party for Yvonne on Sunday 8th September at 1pm in the K2 Hall. Everyone who knows Yvonne is invited - please just let Lydia know that you are going to be there so we can make sure there is enough food. You can do that via the who's who page on the website. If you see Yvonne please stop to thank her for all she has done. Let's be praying for her and her husband Paul for 'much fruit' in this next season of life for them both. The 15th September sees the launch of our new site which meets in Sandhurst School - the picture is of the auditorium where the adults are going to be meeting. 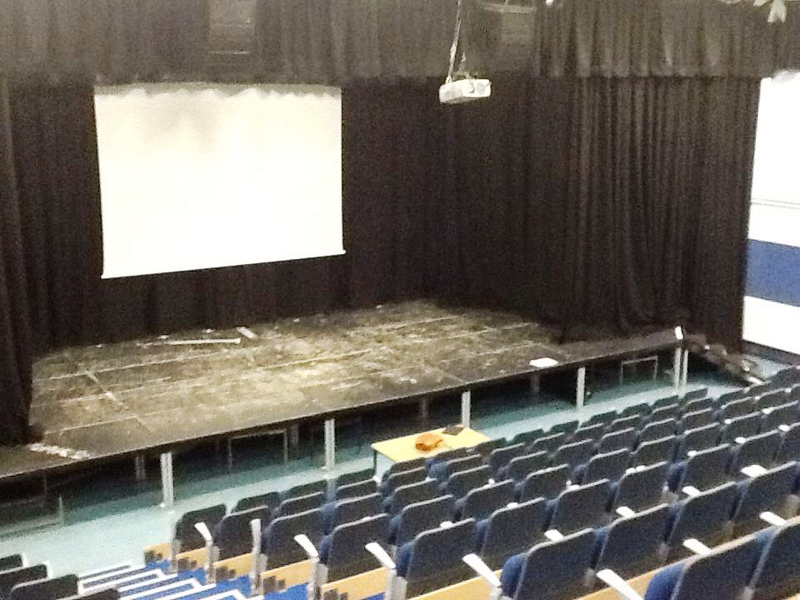 Hopefully the stage will look very different to the picture above, with a load of people in those seats! The meeting there will start at 10am, with drinks served both before and after the meeting (just like Bracknell). There is a big car park, great space for kids work and it's going to be brilliant! All the equipment for the new site has started arriving which makes it start to seem even more real. Somebody asked on Sunday when they were going to be told which site to go to! If you've been around Kerith for a while you'll know that's not really our style. You've free to choose which site, and which meeting time, works best for you. In the longer term it would probably be good for you to settle on making one of them the one you regularly attend and serve at, but feel free to try out all four meeting and see which one works for you. We're also making changes to our Bracknell gatherings. The evening meeting is going to move from a 7pm to a 6pm start. We feel that this could work better for people needing to get to school / work early on Monday morning so we're going to give it a go. Liam Parker, our youth worker, is also going to step into a role as site pastor of the evening meeting. That doesn't mean it's going to become a youth meeting, but it will hopefully give it a distincitve feel and attract a different crowd to the other three gatherings. Liam is taking over from Lee Layton-Matthews who has done a great job over the years of growing and developing the evening meeting. There will also be the launch of a whole new feel to our kids meetings on a Sunday morning on both sites - I'll say more about changes in our kids work in a future blog. On top of that we're also buying a vision mixer for the Bracknell site which will stop that annoying roll when we switch between camera shots, allow us to display text over the top of the pictures, potentially do a live video feed to Sandhurst and much more. All of this has been possible because of the Give to Grow gift days - thank you to everyone who has given. Any questions then please ask via the blog, Twitter, Facebook, LinkedIn, email, website, text, phone, Skype, Facetime or even face to face! Today sees the relaunch of our Job Club as a CAP Job Club. With all that God has done through our relationship with CAP (Christians Against Poverty) and our Debt Advice Centre, it is exciting to be working with them on this new venture knowing what they will bring in terms of professionalism, vision, energy, evangelism and the desire that the poor and disadvantaged should receive the very best. Richard White is our Job Club Manager and was trained by CAP back in July. Richard has already put in a tremendous amount of work not just in running the Job Club to this point but in preparing for the transition. The Job Club will meet each Wednesday from 10.00am upstairs in The Kerith Centre. There will be three elements to each day – a course, one to one advice sessions and a drop in/community element. The Club will obviously work very well with the Debt Advice Centre, Foodbank, Social Justice Outreach and in mentoring ex-offenders. CAP have a national agreement with the DWP (Department of Work and Pensions) and so we can also expect to see referrals from Bracknell Jobcentre plus. If our Debt Advice experience is anything to go by then there is great potential here for reaching more people and seeing their lives transformed – offering them not just hope and a route back into work but the opportunity to meet Jesus. Please pray for Richard and the launch. 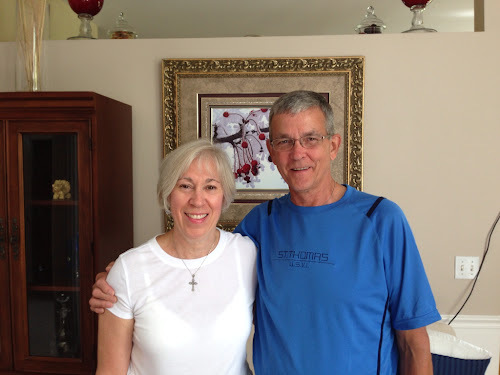 This lovely couple are Mark and Nanci Arnold. I first met them in the summer of 2007 when they opened their fabulous home to host Ben Davies and me as we attended the Global Leadership Summit in Chicago. They were such amazing hosts that every time I go back I always request to stay with them. Every year they have a house full of people (they've got a lot of space in their house! ), and many of them have been people we've invited, either from Kerith or from other churches we're linked with. This year it was with Saulius and a bunch of other Lithuanian church leaders. Every time I'm with Mark and Nanci I'm reminded again of the power of the gift of hospitality. That what they've enabled through opening up and being willing to share their home and their lives with us has not only created an environment where Kerith has been changed, but has done the same for many of the churches we work with. Just as an example Saulius, who we introduced to the Summit and all things Willow, will be running his own GLS in Lithuania for over 800 leaders later this year, and early next year is organising an event for all the Baltic nations where Bill Hybels and John Burke will be speaking. Cool eh! Let's be inspired to do the same. Maybe you've got a home we could open up to overseas delegates when they come to our conferences. Maybe you could invite people back to our houses for lunch after a Sunday gathering. But even if you can't do those things we can always be willing to walk across the room and say hello to someone visiting Kerith for the first time, or you can do the same to someone who is new in your workplace, school or street. As an example we've got new neighbours who have just moved into our close. Catrina took a card and some flowers round to them to say hello, and the next day the husband turned up at our door with an enormous card and chocolates! We then had a great chat getting to know them - a conversation to be continued. Mark and Nanci are hoping to come over to the UK in November - hopefully they'll find us to be as hospitable to them as they've been to us! Yesterday was another remarkable day of receiving from the summit. There were fewer speakers I'd heard of before, but each had their own unique take on what it takes for us to be more effective in leading for God. Highlights for me were Oscar Muriu, a Kenyan pastor who spoke on his strategy for leadership development, Dr Brené Brown talking about daring to be vulnerable (you can watch her famous TED talk here), Joseph Grenny with a fascinating talk on how best to get people to change their behaviour (great for parents as well as leaders) and Andy Stanley with a whole new perspective on the story of the early church. We also managed to catch up with Shauna Niequist who is really excited to be speaking again at REAL next year. She's going to be great again. All in all it's been an incredible privilege to be here, one I never take lightly. It's wonderful to be part of a church which is generous enough to invest in sending me over here - hopefully I can repay that by being a better leader as a result of all that I've heard. I'll be giving a very strong encouragement to everyone to attend our version of the summit in October. Why not get ahead of the game and sign up this Sunday - you won't regret it. We fly back tomorrow and get back to the UK late Sunday night. I'm speaking next Sunday (the 18th) so hope to catch you all then if not before. For me one word summed up the first day of the GLS - "empowerment". How do we create churches and organisations where everyone gets to be their best and bring their best, which aren't about one superstar leader looking amazing but about everyone being able to flourish and fulfil their true potential? If you know my heart you'll hopefully know that's of my huge passions for Kerith, so I spent yesterday being very encouraged, challenged and equipped as to how we can do that a whole load better. One of the things I love about the summit is the range of different speakers we get to hear from. We had Bill Hybels and Chris Brown (both pastors), Colin Powell (General and Presidential advisor), Patrick Lencioni (Business Guru), Liz Wiseman (Leadership Development Expert), Bob Goff (lLwyer) and Mark Burnett (TV Producer). They all came from different angles and perspectives but what they brought dovetailed so well. I'm so excited that is going to get an opportunity to experience these talks in October. I can't think of anyone in Kerith who wouldn't benefit from hearing them, regardless of whether you're a leader or not. Please take a look at your diary and see what you can do to be free on Friday 11th and Saturday 12th October. If you're part of Kerith you can get in at a special rate of £30 - book in at reception any time you're in the Kerith Centre. Looking forward to day two now!